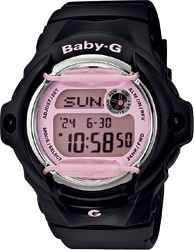 From BABY-G, the casual watch for active women, comes a collection of new models designed to accent summertime fashions. 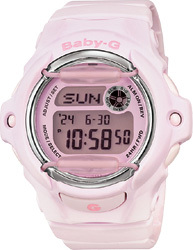 This new digital display lineup features brilliant feminine light purple coloring. The base model is the popular petite BG-169 with face protectors, done in a matte finish. A metallic bezel ring adds a sparkling touch of elegance.